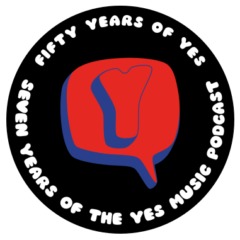 The forty-third episode of the Yes Music Podcast featuring the live DVD, ‘Yes Acoustic’. Can the band achieve a satisfactory sound when ‘unplugged’? Is the necessary re-arrangement of tracks successful? Are there any interesting DVD extras? Awesome Show as always Kevin I do not posses this DVD yet but I think its something I have to have.I have seen all of it on you tube however its just not the same.I would love to see them or this line up do all acoustic versions of Tales,Close to the edge,Going for the one,Yours is no disgrace,on and on I mean ye all know what a wonderful event this would be and I think we should start a petition for the bands 50th anniversary show I bet if they played like 1200 seat theaters they would pack them in and how awesome would that be to sit and listen to them and the story telling about each song If their is any band that could pull this off we all know it to be YES!!! Hi Paul. Sorry to take so long to reply – as you know I’ve been on holiday. Sounds like a brilliant idea for the 50th anniversary – I for one would be there! Acoustic versions of more songs would be fascinating but I wonder if it would only work with this line-up – and the chances of that happening seem remote at the moment!